A portrait should express more about the subject than it does relating to the photographer. Most people often come with a couple of personal portraits captured to commemorate a special occasion like turning sweet 16, graduation, birthday, wedding, and a lot more. It can be really fulfilling for portrait photographers being in position to capture the moment and create a memorable photograph. Being equipped with a range of lenses with your camera gear is vital. There’s no such thing as a perfect portrait lens. It all depends on how you want to use your camera lens. Either way, both can be very useful in the end. Prime lenses have an edge over zoom lenses because they are simply enhanced for just one focal length. Therefore, it has a simple build quality yet still provides exceptional images. Another key advantage is the fact that prime lenses generally feature relatively wide apertures as opposed to zoom lens, which is definitely great for shallow depth of field. This is extremely useful in portraiture in which wide apertures are recommended. Taking pictures in low light is done better because the lens can accept further light. A lot of photographers prefer to shoot with prime lenses since their single focal length allows them more creativity with the many ideas where a subject can be approached, compared with zooming in and out from just one position. Wide angle lenses create a distortion effect on the face that expands the center of the photograph. It’s no longer that good that’s why portrait photographers pick out similar focal lengths somewhere around 70mm and 135mm. Being too near and close to fill up the frame has something to do with it. Portraits can convey different messages with your choice of environmental shots, headshots, or formal shots. You can capture a portrait with sharp eyes yet the nose as well as portions of the hair are softened. Children portrait photography captures the heart and soul of a kid into a photograph. 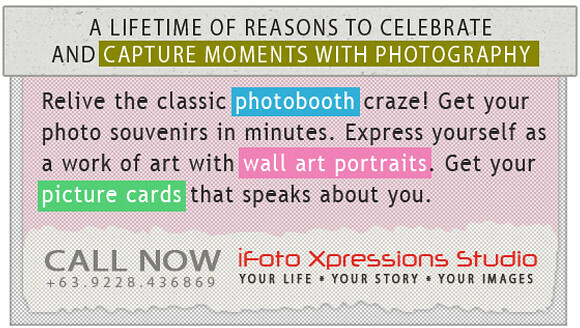 You would like to capture almost every treasured moment with your camera as the child grow up. It pulls you back to your childhood having those captured memories shared with your children. Child portraiture requires a lot of technique and patience to set a kid away from stress and feel comfortable to create a great portrait. Costumes and props which you’ll find safe could moreover be utilized to spice up the photographs. Children portrait photography entails quickness in pressing the camera shutter button to not pass up the moment. Let’s take a look at the lovely photos by Karneeva Elena‘s kids portrait photography. Let’s try to enter into her world and be inspired how she creatively captured these kids’ whimsical portraits in time. If you like this article, share it with your friends as well. You may leave your ideas and suggestions if you have any additional photography tips.